In the competitive ecommerce business environment, it is vital to stand out with the marketing tools you implement on your online shop. One of the effective ways to engage more customers and boost sales is collecting product reviews of your clients. 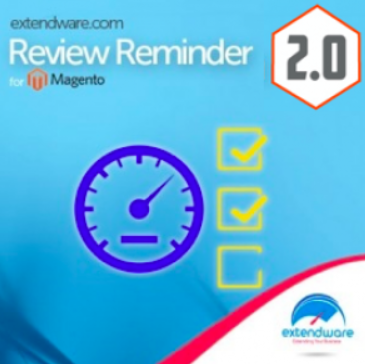 The Extendware Review Reminder extension for Magento 2 is designed to increase the number of reviews on an online store and build trust to your brand. The Magento 2 reviews reminder module allows sending automate emails with feedback requests, setting a schedule for sending reminders, and customize email templates. 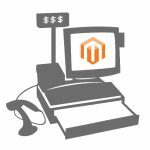 Below, we describe more features of the Magento 2 reminder email extension. The Magento 2 Review Reminder module enables store owners to send email reminders to their customers with requests for product reviews. You can set an automatic emails dispatch to the website visitors who placed an order, motivating them to leave feedback on your products. Thus, you will receive more product reviews on your web store stimulating user-generated content, which leads to higher SEO rankings as well. The Magento 2 review reminders extension has no limitations on the number of follow-up emails you send. 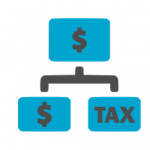 Besides, it is possible to configure reminders on a per store basis. As we’ve already mentioned, you can automate the process of sending review requests, optimizing some routine processes for your admins. As for the reminders schedule, you decide which interval to set for sending emails according to your needs. For instance, you send the first reminder in one month after a customer bought a product on your store. If the customer doesn’t submit a review in two months after he or she received an email, another request can be sent automatically according to the delay period you specify in the backend. Nevertheless, you can take more control over sending emails by disabling the auto-send feature. This way, you will be able to edit the content of your reminder emails and send them manually whenever needed. After a customer opens a link in the reminder email or submits a product review, the module will automatically stop sending follow-up emails to him or her. To incentivize your customers for leaving feedback on your website more, you can include discount coupons in your reminder requests. The Magento 2 Review Reminder extension supports different types of coupons, as well as lets you define their validity period and amount of discount. Coupons are attached to the emails automatically based on the specified conditions. This way, you can offer discounts only for products from a particular category or based on the minimum order value. Moreover, each coupon code is unique, meaning that it can’t be shared or published and can be used only once. Another important feature provided by Review Reminder for Magento 2 is the possibility for customers to unsubscribe from receiving follow-up emails or send them to the blacklist. You can also define customer groups for sending email reminders. This way, you can exclude your wholesale clients from receiving follow-ups not to annoy them with unnecessary notifications. Furthermore, you get control over the look of your emails. It is possible to customize an email template for each reminder you send. For keeping track of your emails, you can specify email addresses to which a copy of a reminder will be sent. Besides, the Review Reminder extension is integrated with Google Analytics, so that you can track and analyze the efficiency of your email campaigns using your Google credentials. Extendware Review Reminder for Magento 2 is an excellent tool for building customer trust and motivating online shoppers to share their opinion on your products. With the extension, you can easily increase the number of product reviews on your store, which leads to higher SEO rankings and boosts sales. Also, the Magento 2 review reminders module automates some processes, saving the time of your website admin users on routine tasks.